Editor's note: This article was updated on August 15, 2017 with up-to-date app links and pricing information. Apple believes that apps are the future of television, and maybe they’re right: The Apple TV’s selection of apps and games is ever expanding, and you can tap into a wide array of streaming services and traditional network apps with ease. It makes cutting the cord seem even easier than ever, and cable and satellite subscribers see a lot of added benefits too. But at $149 for the base 32GB model, the Apple TV requires a solid upfront investment to dig into this app-centric TV vision that Apple is promoting—particularly since a lot of other devices large and small can access many of those same services. That might be worth the expense for some, but not everyone needs another way to run apps and games. What about the Chromecast, then? Google’s tiny dongle might seem like an ideal Android accessory, given its heritage, but it also works with iPhone and has many of the same services and apps available. It’s a different kind of TV streaming experience, using your iPhone and its existing apps to “cast” content wirelessly onto the big screen—but at $35, it might get the job done for many iPhone users who don’t want to shell out for something more advanced. Here’s an updated look at what the Chromecast can do with the iPhone and how it compares to the Apple TV in terms of hardware, which features are shared between the devices, and how much functionality you lose with the bargain alternative. The Apple TV has a pretty sleek profile, packing a lot of tech into a dense black box, but it has surprising heft to it. While easy to pop into a bag for travel, or move between screens at your home, it’s primarily built to rest beneath a TV and blend in inconspicuously with your setup. 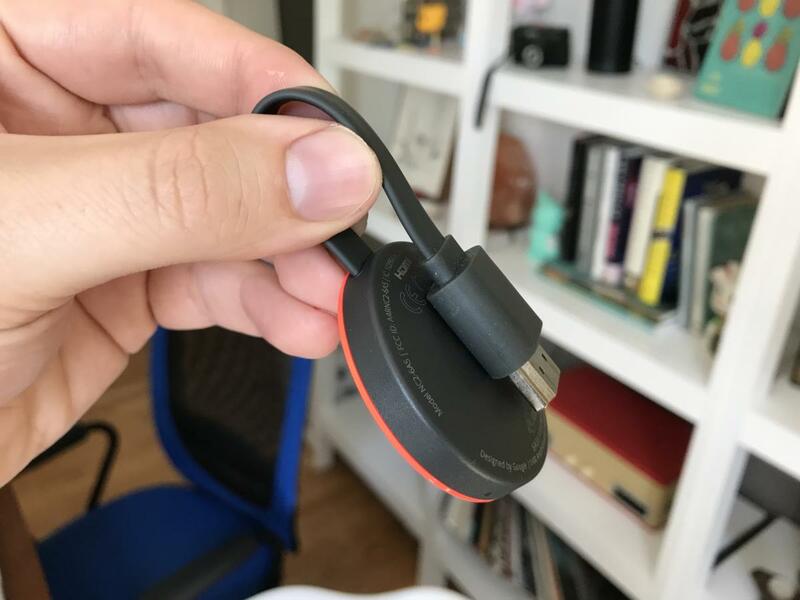 Google’s Chromecast, on the other hand, is truly pocketable: The second-gen unit, released in late 2015, looks like a small toy or candy disc—and even comes in bright yellow and red options to complete the illusion. The HDMI dongle is directly attached, with a magnetic connector that makes it easy to fold the cable in half for compact transportation. Link that to your TV and plug in the AC adapter cable and you’re ready to stream. Just fold the Chromecast in half: magnets keep it compact when not in use. Of course, the bigger difference comes in functionality. The Apple TV has its own interface controlled by the Siri Remote, letting you browse through apps and access media of all sorts on the TV itself. The Siri Remote also serves as the controller for games and apps, with the small touchpad, motion controls, and buttons allowing an array of interactions. And if you want to use an iOS device as an optional remote, well, there’s an app for that too. 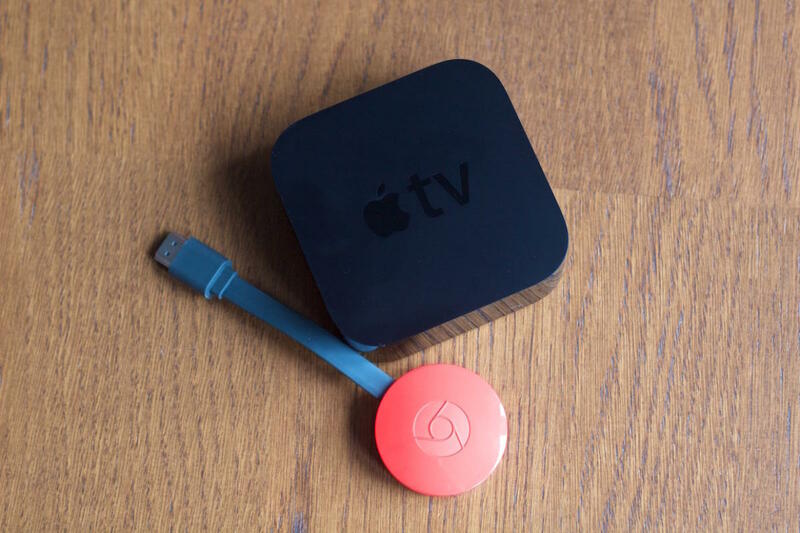 With the Chromecast, there is no remote: Your iPhone or Android phone serves that role. An official Google Home app (formerly Google Cast) is available as a guide to point you towards other compatible apps, otherwise you can cast directly from the apps. Once paired with the Chromecast device, you can simply tap the icon—which looks like a TV screen with a Wi-Fi indicator in the lower left—within the app to send video, audio, or gameplay to your television. The Google Home app helps you connect your device and find content. It’s pretty easy to use once you’re acquainted with the process, but it’s a lot easier to hand the Siri Remote to a babysitter or friend rather than make sure they’re connected to the correct Wi-Fi network, have them download the right apps, and then figure out casting. Apple certainly has ease of use securely in the bag here. Google does have an advantage here for owners of higher-end televisions, though. The Chromecast Ultra device, which looks similar but sells for $69, provides playback at 4K resolution for supported media, and can also handle HDR (high dynamic range) for wider contrast and bolder colors. The current Apple TV isn’t equipped for 4K or HDR as of this writing, although rumors suggest that a new model may accommodate those benefits. If you’re big on streaming media, take heart: Most of the major services work on Chromecast via their iPhone apps. We have a handy chart that compares the services found on all of the major streaming devices, including both of these as well as Roku, Amazon’s Fire TV, and Android TV, but here are the highlights. Netflix, Hulu, and YouTube all work with Chromecast, as do HBO Go, HBO Now, Showtime, and Showtime Anywhere. 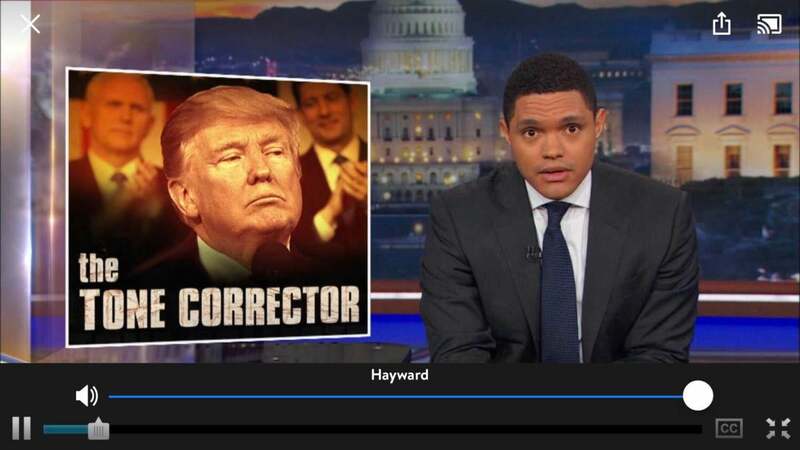 Broadcast networks like ABC, CBS, and Fox have apps, while cable favorites like Comedy Central, Food Network, FX, Disney Channel, HGTV, Nickelodeon, and Travel Channel have compatible apps. Tap the upper-right button in a compatible app and the video will fling over to your TV instead. Live streaming TV services like Sling TV and PlayStation Vue are also available on Chromecast, making it easy for cord-cutters to still watch some channels without a huge cable or satellite bill. And you can use an app like Plex to pull media from your computer or a server onto your TV. Meanwhile, streaming music and radio services such as Spotify, Pandora, iHeartRadio, and Google Play Music also have Chromecast functionality. Sports fans, you can stream live March Madness games in the spring with the official app, with all the games airing on CBS available for free. MLB.TV, NFL Sunday Ticket, NBA, NHL, Major League Soccer, and WatchESPN all work on Chromecast as well. Oh, and parents: PBS Kids and YouTube Kids are both well accounted for. While many of these apps feature a different kind of interface than the Apple TV version, since the menus and navigation are all handled on your phone, the end result is the same: streaming media of all sorts flung onto your TV. It’s most of the other stuff that’s totally missing on Chromecast, unfortunately. The platform isn’t really built for interactivity, so the options for games and app experiences are limited—and a lot of the stuff you’d actually play is more passable than great. While the Apple TV has hundreds and hundreds of games, many of which are great, the Chromecast has just a handful of decent options. Angry Birds Friends might keep kids entertained in pinch, while LEGO Speed Champions is a solid little racer, albeit with some performance issues in the mix. Deer Hunter 2017 is simplistic in its game-hunting approach, but works well enough on your TV. 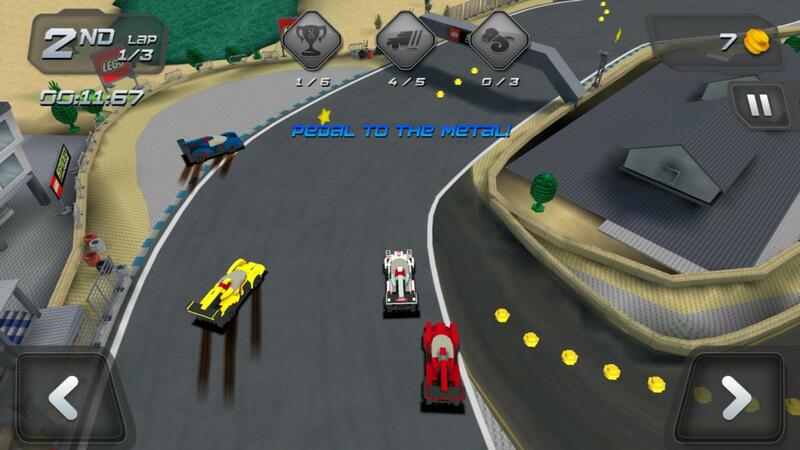 LEGO Speed Champions is a decent big-screen diversion, but it runs a lot smoother on a phone. Ubisoft’s Just Dance Now is breezily entertaining, letting you match colorful dance moves while you hold your iPhone, but much of the content requires a purchase or subscription. Hasbro also has a few party games of varying quality, and Big Web Quiz is another fun party option, but those are pretty much all of the standout games. In other words, if you want a streaming box that can also double as a game console, the Chromecast doesn’t have much to offer. Meanwhile, the Apple TV’s selection is only improving, and you can grab a gamepad for an even better experience. The Chromecast does have the popular fitness video app Daily Burn, along with access to things like Google Slides and Bloomberg Business, but it’s pretty clear that the Chromecast is built primary for streaming media and not a whole lot else. 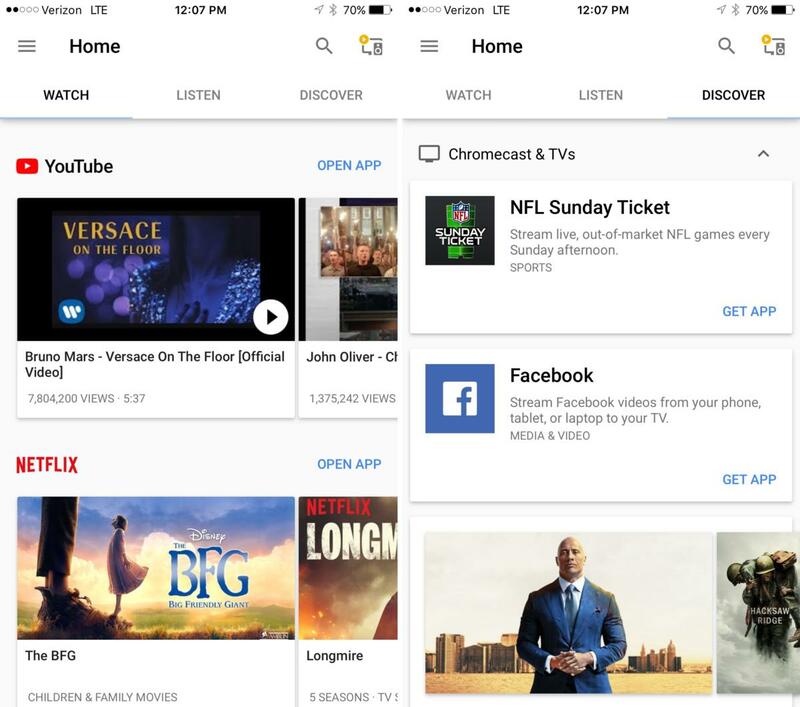 In Google’s streaming vision, apps and games still mostly live on your phone, not on your TV. Lastly, this may not be a surprise, but it could be easily overlooked: The Chromecast doesn’t have any support for Apple’s own media services. That means no access to Apple Music or your iTunes library, and no way to purchase or rent movies or TV shows through Apple. If you’re deeply entrenched within the Apple ecosystem, that could be a crushing blow. It’s part of the reason why the Apple TV is so darn appealing to iPhone and iPad owners. In short: If you want a device solely to toss streaming services like Netflix, YouTube, and Spotify onto your television, then the Chromecast might do the trick. It’s super cheap, extremely portable, and supports streaming from many of the top apps for TV, movies, and music. Commanding the action from your iPhone isn’t quite as universally intuitive as using a dedicated remote, but it’s also not difficult to figure out or get comfortable with. However, if you want the next level of set-top box entertainment, with scads of games and apps that work on your big screen with ease, then that’s something the Chromecast can’t hope to compete with the Apple TV on. It’s what you’re paying extra money for: Access to interactive content, the processing power to run it all, and a unified interface and platform to enjoy it on. That’s where the Apple TV excels in the market.